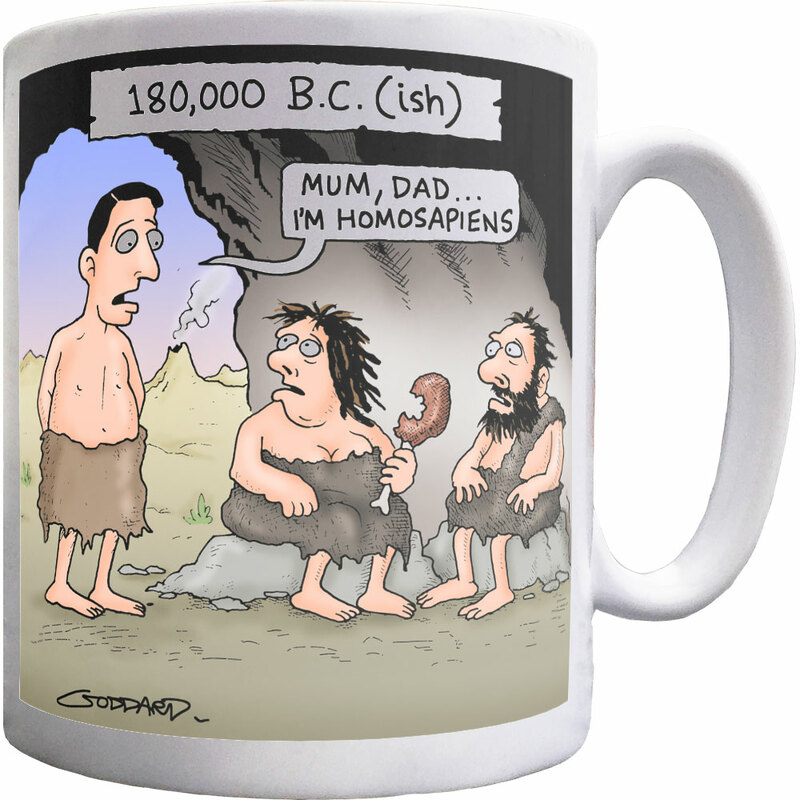 The words that the un-enlightened parents of any caveman dread to hear: "Mum, Dad... 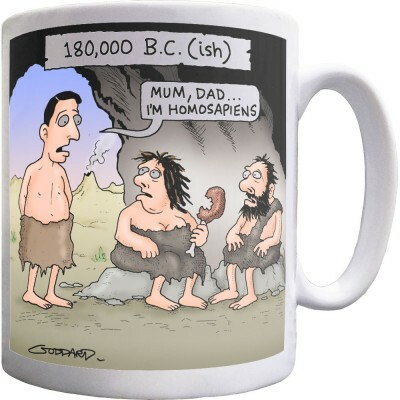 I'm homosapiens". A mug featuring a cartoon by renowned cartoonist Clive Goddard.